Learn more about the Wim Hof Method. Free info. Please check you inbox for confirmation! Scientific literature said it was impossible, but researchers have now proven that it is possible voluntarily to influence both the autonomic nervous system and the immune system by using the Wim Hof Method. Wim Hof, aka The Iceman, became known for his spectacular records: he ran half a marathon in Lapland at -30ºC, frequently sat in a pool of ice for over ninety minutes, and swam hundreds of metres under the ice, from one hole to the next. It got him a long list of entries in the Guinness Book of Records. 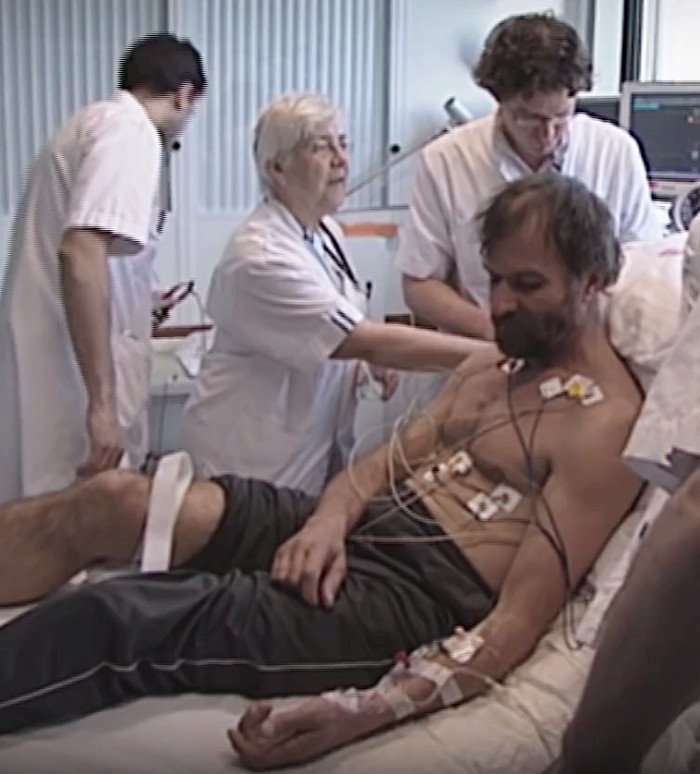 In 2011 the same researchers monitored the response of Iceman Wim Hof’s body to an endotoxin injection as he performed the techniques he had developed himself. It turned out that he produced half the amount of inflammatory proteins healthy volunteers did who did not master his method. Moreover, he hardly showed any influenza symptoms – he suppresses his immune response through the autonomic nervous system. Since a finding in one individual doesn’t constitute scientific evidence, the scientists decided to do a follow-up study. For that reason, in 2013, studies were performed on a group of young, healthy, male volunteers. It indeed turns out that we are able to influence both the autonomic nervous system and the immune system. The cold is your warm friend and one of the three pillars of the Wim Hof method. Proper exposure to the cold starts a cascade of health benefits, including the buildup of brown adipose tissue and resultant fat loss, reduced inflammation that facilitates a fortified immune system, balanced hormone levels, improved sleep quality, and the production of endorphins— the feel-good chemicals in the brain that naturally elevate your mood. The second pillar of the Wim Hof method is breathing. We’re always breathing, yet we’re mostly unaware of its tremendous potential. Heightened oxygen levels hold a treasure trove of benefits, and the specialized breathing technique of the Wim Hof Method unearths them all: more energy, reduced stress levels, and an augmented immune response that swiftly deals with pathogens. The third pillar of the Wim Hof method is the foundation of the other two: both cold exposure and conscious breathing require patience and dedication in order to be fully mastered. Armed with focus and determination you are ready to explore and eventually master your own body and mind. This is the first time that there’s scientific proof, that we as humans can change our autonomic nervous system and immune system at will. Inhale through the nose or mouth and exhale through the mouth in short but powerful bursts. Keep a steady pace and use your midriff fully. Close your eyes and do this around 30 times. Symptoms could be light-headedness, tingling sensations in the body. After having completed the breathing exercise, take your time to enjoy the feeling afterward. This feeling will be more and more like a meditation. The longer you stay there, the more your body is changed. Since I am active in the field of healing, both physical and emotional, I continuously explore and apply the latest scientific studies and breakthroughs. By breathing in and out at specific intervals, we can make the CO2 level in our blood drop and the O2 level rise. CO2 is considered waste and is degraded. A higher oxygen level, or O2 level, will lead to an overall better physical condition. I am currently a student of the Wim Hof Academy and I have already seen significant improvements in the PTSD and stress levels of the veterans that I work with, just by using the Wim Hof Method. This year I will become a certified Wim Hof Method Instructor. I believe that the secret to life lies in hitting the breaks, really slowing down and learning to understand ourselves better. You can only be at peace and feel fulfilled, when you are honest with yourself and start closing the gap between who you appear to be and who you really are. You will then discover that you are beautiful. "Simply a deep thank you for the experience this weekend. Your display of wisdom, care and love was amazing. I am so grateful that you helped us transform ourselves in the pyramid. What a treat it was to experience the retreat inside this mystic location." 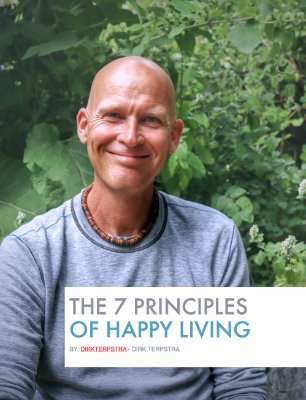 Subscribe today and receive a beautiful and powerful eBook for FREE – The 7 Principles of Happy Living.